Choosing your next drift boat. How technical will you go? One of the most important considerations when choosing your Willie drift boat model is the type of rivers that you desire to run. Before we go to far, let’s start by defining the term “technical.” In drift boat speak, the “technicality” of a river largely refers to the level of navigational difficulty that oarsman will face. Highly technical rivers can be small or large. For example, the vast Rogue River in Southern Oregon is technical in a different way than the Calawah River, a technical smaller river in the Olympic Peninsula. Bothare very difficult and potentially deadly, offering different challenges. On the Rogue, you will encounter large rapids lined by boulders the size of Volkswagen Bugs. The difficultly lies in the volume of water being pushed through these rocky areas. The oarsman will need to fight this volume of pressure while navigating left and right through the safest line. On the Calawah, the river runs fast through mine fields that require swift left and right movement. Sometimes the boat will even need to be stopped in heavy flows, and then maneuvered latterly. This is often referred to as “threading the needle,” where the oarsman must navigate through sets of boulders. In both cases, intimate knowledge of the river and the appropriate boat will be important factors for the safety of any trip. 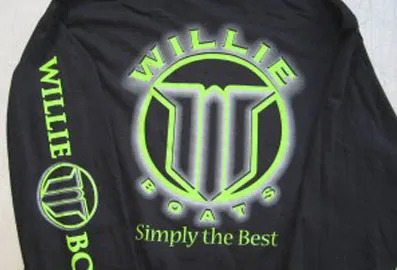 While Willie Boats can’t help you with gaining experience, we can get you into the right drift boat for the job. We have been putting drift boats under some of the best oarsmen in world for nearly 40 years. The Rogue and Calawah offer different challenges, but the physical requirements for the drift boat will be similar. With too big of a boat, the oarsman will need to move unnecessary extra weight. However, with too small of a boat the oarsman will face similar difficulty, as the boat sits deeper, creating more drag, and making the boat less nimble. Interestingly enough, the Willie 17×54 is hands down the most popular, followed by the Willie 17×60. Both of these boats will accommodate two passengers comfortably, performing well within either of the examples above. But what about the “not so technical”? There are many drift boat owners that have no need or desire to fish rivers like the Rogue or Calawah. Their home rivers and the water they like to fish might have a little rapid here and there, but nothing concerning. 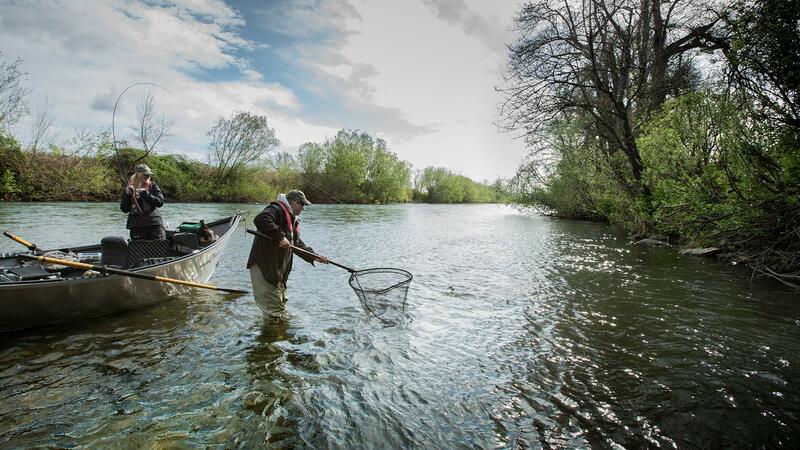 Rivers like the Kenai in Alaska and the Siletz in Oregon are more famous for their fishing than they are for their degree of technical difficulty. On these rivers, you could row just about anything and for a variety of reasons, Willie Drift Boat owners do just that. 19’ and 20’ boats are very popular on both of these rivers, but are often times used very differently. On the Kenai, it’s all about fishing four passengers, and either of these lengths will allow for this to happen. On the Oregon Coast, it’s mostly about providing casting space and comfort, as two and sometimes three passengers side drift for steelhead. While both of these boats are comparatively large, weighing in at over 450 pounds, Willie drift boats are famous for their rowing characteristics. Additionally, these larger boats provide amazing stability and space to build in creature comforts that many fishermen desire. Of course, many 16’ and 17’ drift boats make their way down both of the not so technical examples above, which simply suggests that each member of the Willie Boats Family has their own unique requirements. Because of this, Willie Boats provides drift boat models from 12’ to 21’, many offered in a variety of widths. 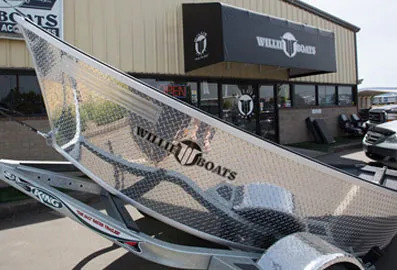 If you have questions about which boat is right for you, feel free to email us at inquiry@willieboats.com, or call 541.779.4141.